The poster “New way of GNSS data dissemination within the European Plate Observing System (EPOS)” was presented by Jan Douša, member of TCS GNSS Data and Products, at IGS Workshop 2018, which has been held in China for the first time. Hosted and organized by Wuhan University receiving assistance from the State Key Laboratory of Satellite Navigation System and Equipment Technology and sponsorship from relevant partners, the event entitled “Multi-GNSS through global collaboration” occurred from October 29th to November 2nd. Jan Douša took the opportunity to explain – at the poster presentation – what is EPOS for, besides approaching GNSS data dissemination, which includes talking about GLASS software package. 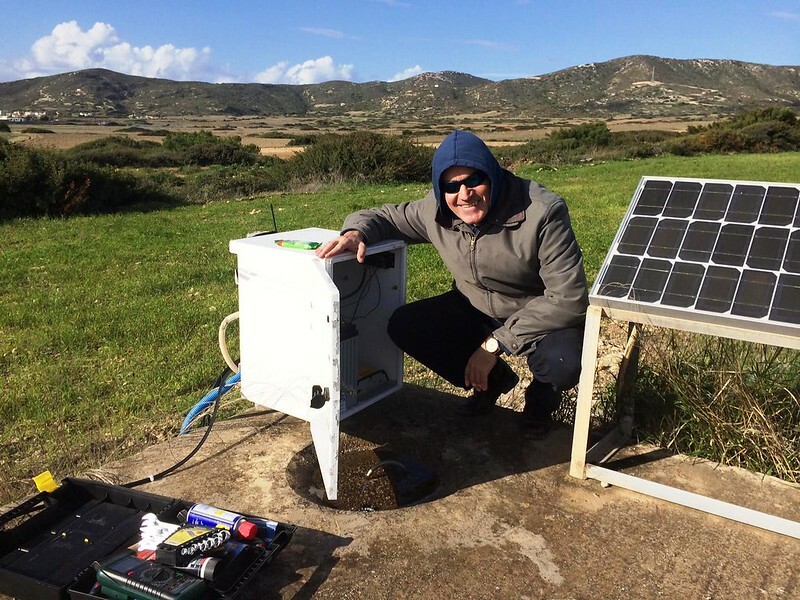 “The European Plate Observing System (EPOS) has been established to facilitate, harmonize and standardize data collection and processing for Solid Earth Research applications”, said Douša. EPOS – He also added that “the EPOS is principally based on the existence of national and pan-European infrastructures while it is completed with Thematic Core Services (TCS) for individual scientific domains, and Integrated Core Services (ICS). Besides geophysical data and products, the contribution of geodesy to EPOS is currently represented mainly with GNSS data and products. GLASS – The poster focused on developments towards a new way of data dissemination including new GLASS software, data and metadata quality control. “So, was presented the overall concept, implemented architecture, software and portal components, the technologies that are used and resulting APIs and their descriptions in formal languages for integration into the central EPOS project software and the existing workflow system”, describes Douša. Co-Authors – The poster is co-authored by J.Douša (GOP, Ondřejov, Czech Republic), P.Crocker (UBI/C4G, Covilhã, Portugal), M.Vergnolle (CNRS-OCA,Nice,France), C.Bruyninx (ROB, Brussels, Belgium), R.Fernandes (UBI/C4G, Covilhã, Portugal), B.Offeigsson (IMO, Reykjavik, Iceland), P.Bezděka (GOP, Ondřejov, Czech Republic), R.Cardoso (UBI/C4G, Covilhã, Portugal), R.Couto (UBI/C4G, Covilhã, Portugal), A.Fabian (ROB, Brussels, Belgium), J.Legrand (ROB, Brussels, Belgium), J-L.Menut (CNRS-OCA, Nice, France), K-M.Ngo (CNRS-OCA, Nice, France), T.Sonneman (IMO, Reykjavik, Iceland), P.Václavovic (GOP, Ondřejov, Czech Republic).